In a bowl, add sliced cabbage, carrot, grated coconut, chopped green chillies, turmeric powder, sliced shallots and salt and mix well. 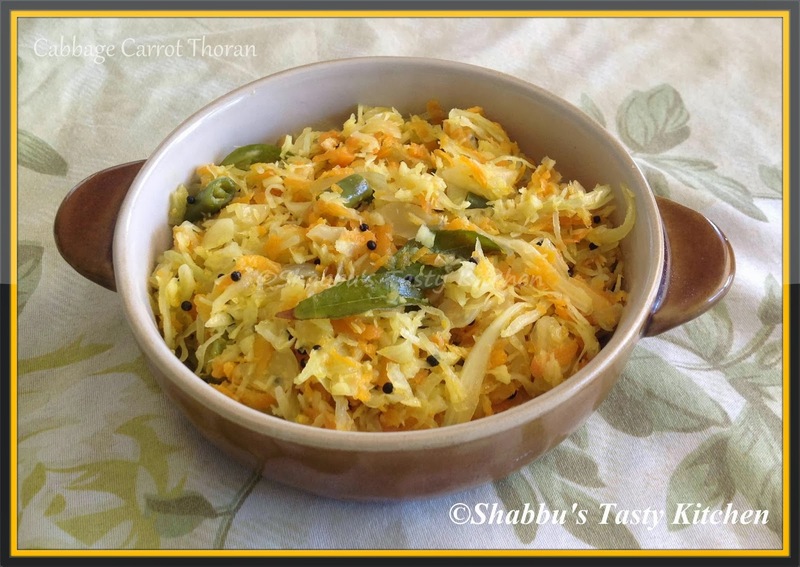 Add curry leaves and cabbage-carrot-coconut mixture and mix well. Loved the texture of this thoran, delicious!